Many of us slumber nightly amid the mineral sediments of ancient oceans. The Sheetrock walls of your home are made from the marine mineral gypsum. Along with rock salt, gypsum forms as a precipitate from salty brines. In deep stagnant waters, these minerals are concentrated by settling. 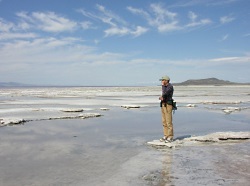 More commonly, evaporative precipitates accumulate beneath shallow lagoons like those of the Great Salt Lake. 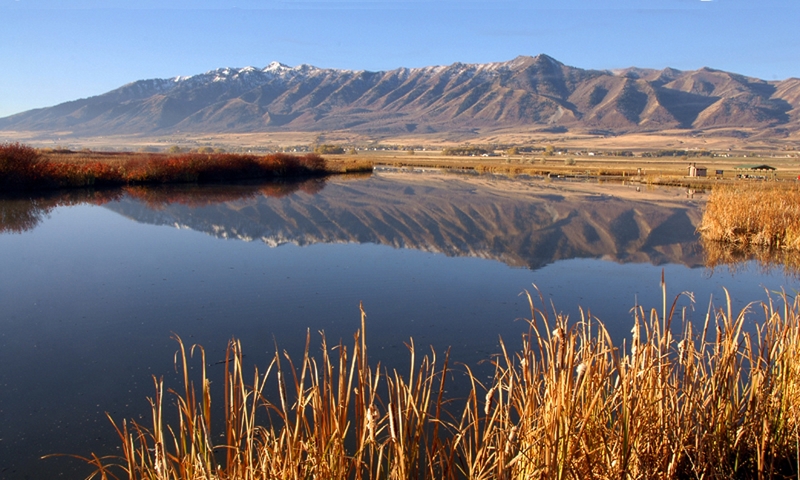 Long ago, under a shrinking Lake Bonneville, such evaporates produced the Bonneville Salt Flats. Gypsum is a pale, soft mineral composed of hydrous calcium sulfate. 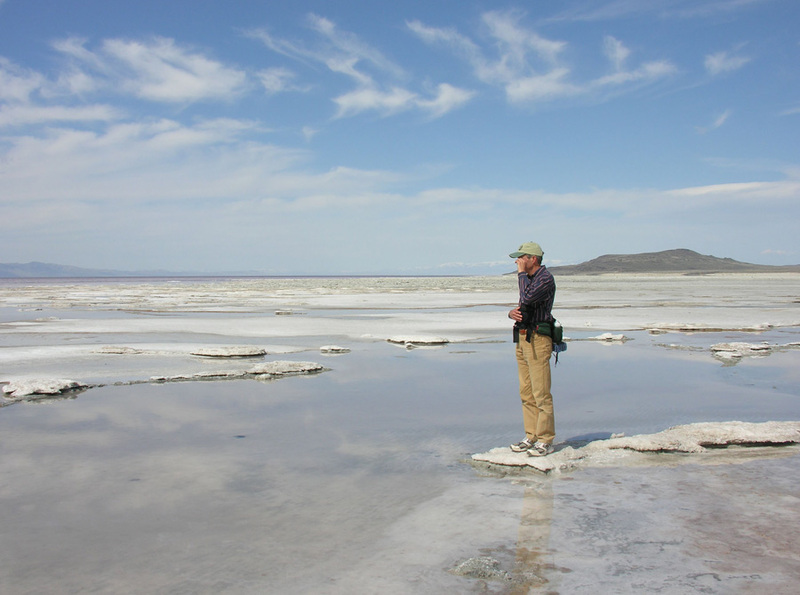 Both gypsum and rock salt, or halite, are geologically peculiar. Pressed under the weight of overlying rock strata, they become plastic and mobile. Gypsum and halite are light compared to other rock layers and so are squeezed upward to form massive salt domes. The arches of Arches National Park were molded by an underlying gypsum salt dome that bowed the sandstone layers above. 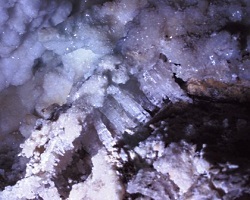 Gypsum can be found in diverse forms. Glass Mountain in Capitol Reef National Park consists of massive translucent slabs of crystalline gypsum, called selenite. As alabaster, it is readily sculpted and carved. 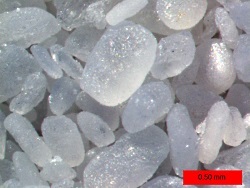 Gypsum sand comprises the white dunes southwest of Fillmore Utah, as well as those of White Sands Missile Range in New Mexico. Dehydrated in kilns, gypsum becomes plaster of Paris. 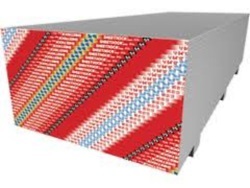 Most gypsum is quarried, however, to make wallboard. Near Sigurd, gypsum-bearing strata are mined and made into Sheetrock. These strata were laid down in the Jurassic when dinosaurs roamed. You can see a surface quarry of gypsum on a hillside just east of Nephi. 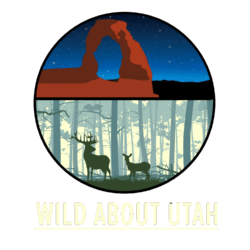 Precipitated in briny lagoons, buried under rocks, squeezed upward into salt domes, perhaps blown about and sculpted by wind, the gypsum in your Sheetrock walls had a long and active history whose transformative stages you can witness right here in Utah.